360-degree view of the cave-in rim rendered flat. The water hole is on the right side. The Pawod Underwater Cave System (PUWCS) is one of Lapu-Lapu City’s most precious natural resources. It is a dissolution cave formed over thousands, maybe millions of years. 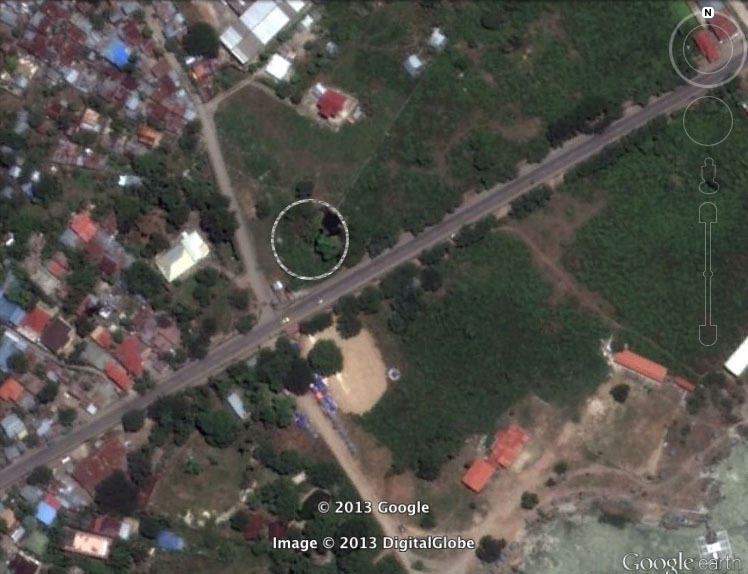 It is located in Barangay [bar-ang-gai] Agus [Ah-gus] along Mactan Island’s circumferential highway. “Agus” is the local term for spring. The barangay is named after the springs gushing fresh water into Agus cove, approximately 185 meters from Pawod. Because of reversal of flow between PUWCS and the cove, the springs disappeared about 40 to 50 years ago. The reversal happened due to overextraction of Mactan’s water table in order to meet the water needs of Mactan Island’s population which has ballooned ten times over the years. To this date, one can still see the prehistoric cracks resulting from the cave-in revealing the PUWCS.The area is circular in shape and measures approximately 33 meters across. The main pool is a small part of the cave-in’s north edge. This is the water hole known to most kids growing up in the area..including the author. On the other side is Pawod Gamay [Gah-mai], local phrase meaning “Small Pawod”. When I came home to Mactan Island in 2000, I was the only cave diver in the Visayas-Mindanao area. Cave diving was unheard of then. Having been certified in the extensive cave systems of north central Florida (USA) which have the same geological make-up of limestone as Mactan. I suspected that there could be similar cave systems in Mactan. Exploration of potential sites started in 2002. Pawod was the third spring explored. On the very first try the 1 X 3 meter opening was discovered when my light beam running along the shallow wall suddenly disappeared . Entry into the main chamber was awe inspiring, realizing that this was the first time light has shone into the expansive walls after thousands, maybe millions of years. The other features were discovered after subsequent explorations. Of necessity, these were solo dives as there was no other cave diver around then. *Doc’s Chamber is approximately 15X20 meters, maximum depth is 11 meters. At very low tide, a small air space maybe noted at the dome. *The Well is the farthest dead end where fresh water gushes out at the maximum depth of 21 meters. It is 152 meters from Doc’s Chamber. *Paul’s Peril is a vertical restriction. Back-mounted gear is a tight squeeze. *Bernillian Tunnel is the lone branch of the underwater cave. It ends blindly at The Well. It is estimated that 1% of scuba divers would want to become cave divers. Here in the Asia-Oceana area, there are approximately one million scuba divers. That figures to 10,000 cave diver wannabes. Before the discovery of Pawod, the only sure place to go and have a good cave certification course is in Florida (USA). For one coming from the Philippines and other parts of Asia-Oceana, this will entail enormous expenses. For air fare, certification course fee, equipment and air fills and lodging, a 10-day course in Florida will cost approximately US$6,500, compared to if you have the course done in Pawod here in Mactan Island which amounts to approximately US$2750. One can see the benefit in savings alone..not to mention the exotic ambience of Mactan Island where there is pleasure to be had day and night. In Branston, Florida there is nothing but forest and backward native Floridians. After my discovery, I happened to meet Paul of Mandarin Divers of Hong Kong who was on his way to become a cave instructor. I introduced Pawod to Paul without any preconceived ideas to see if the features are enough to make it a cave certification site. Indeed, they are! 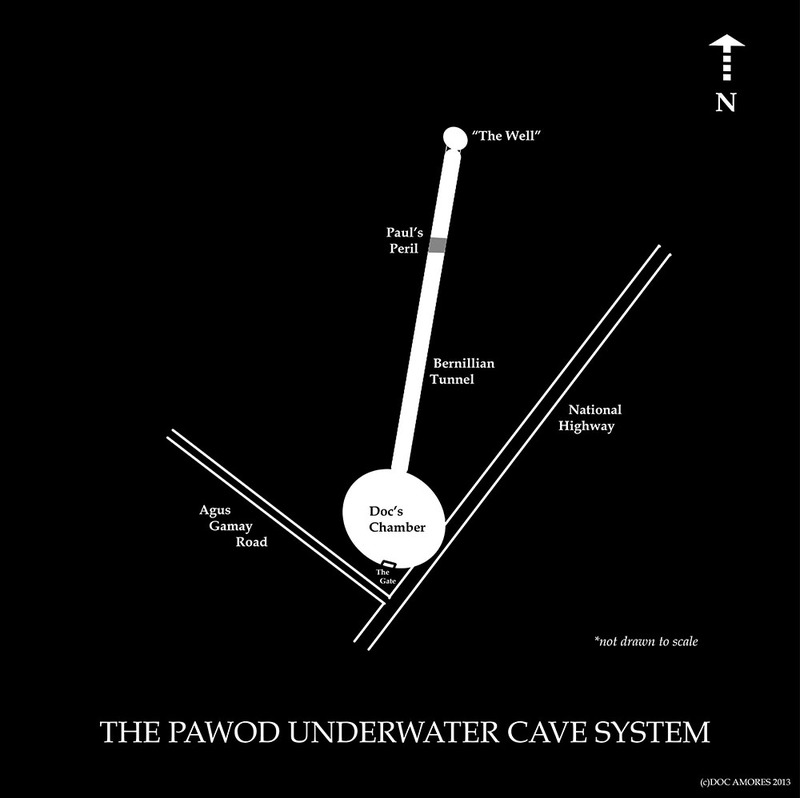 Since then a handful have been certified at Pawod, including our very own filipinocavediver Bernil, the front end of a line of 10,000 cave divers. soonner its one of the tourist spot of lapu lapu,,,. Yes sir! We will be doing a presentation of PUCS during the RCC meeting. See you! How are underwater caves formed?